This ancient Kamilah Pyramid requires you to complete the Kamilah Treasure Map before you can enter. Its very dangerous, so you can only send in one pet at a time and while the pet is inside the pyramid, you cannot trade or exchange the pet. 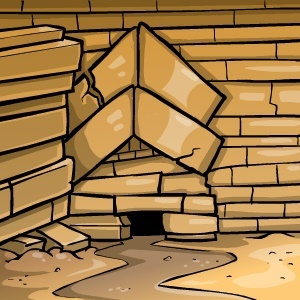 Make sure you are prepared - the pyramid has many obstacles, 50 levels some say, but not many have made it all the way to the treasure deep inside! While inside the pyramid, your pet will see ancient symbols on the walls or floor which will help him safely proceed to the next level. But you will need Kamilah Codes to help translate. At each level of the Pyramid, you will get a prize. It can be either items, currency, pet stats or Account Upgrade Credit. There is no time limit for completing the Pyramid, but you can only complete one level every 6 hours. If you manage to reach level 50, you will be able to change your pet into a restricted pet Hump! Buy a Kamilah Pyramid item and you can use the Kamilah Pyramid twice as often for life!